Rudy Giuliani has vanished from your television. The last time the president's once-ubiquitous attack dog did a major TV appearance was on Sunday, Jan. 20, when he went on NBC's "Meet the Press" and CNN's "State of the Union." 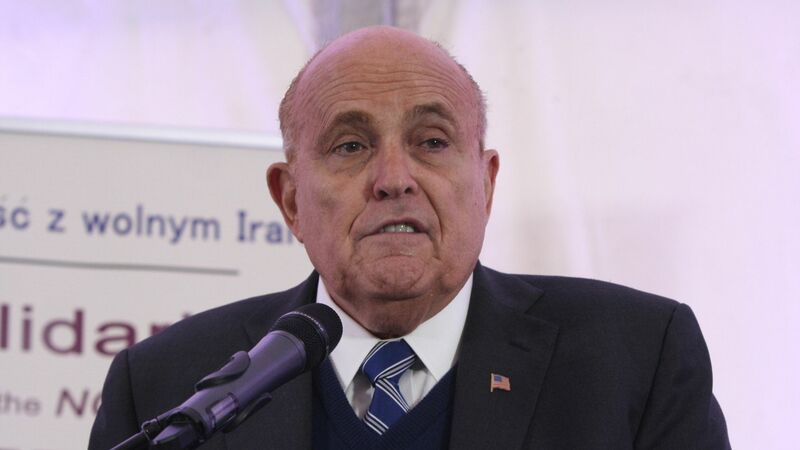 Between the lines: Sources familiar with Giuliani's thinking say he views a major part of his job as trying to undermine public confidence in the Mueller probe and harden the support of Republican voters for Trump to protect him against impeachment. So for Giuliani to stay off TV for an extended stretch is odd. White House officials had expected Giuliani's Jan. 20 Sunday show appearances to be an easy "victory lap" after Mueller's office took the rare step of publicly disputing a BuzzFeed story accusing Trump of committing a felony. Instead, Giuliani tripped over himself, saying the Trump Tower Moscow talks may have lasted up until November 2016. The claim was both unhelpful and, in the White House's view, incorrect. Giuliani walked back the comments in a statement the next day: "My recent statements about discussions during the 2016 campaign between Michael Cohen and then-candidate Donald Trump about a potential Trump Moscow 'project' were hypothetical and not based on conversations I had with the president." Since that weekend, the president's most prominent lawyer has kept his head down. He has only made one on-camera appearance: a March 8 hit on the streaming channel of the Washington newspaper The Hill, where he said Paul Manafort's surprisingly short jail sentence was fair. Two sources with direct knowledge told me that both Trump and the White House lawyer handling the Russia investigation, Emmet Flood, have privately griped about some of Giuliani's TV appearances. A third source said Trump thought it would be best if Giuliani stayed off TV for a while after his Jan. 20 hits. Giuliani's response: When I asked Giuliani about all of this, he texted that he has spent hours with Trump in the last month and hasn't heard any complaints about his TV appearances from the president. Giuliani then called me to elaborate. He said his decision to stay off TV since Jan. 20 had nothing to do with his performances on those shows. "About a month to a month and a half ago we decided, because we thought the Mueller report was imminent in the next four or five days, that it would be better not to comment until the report was filed or made public," Giuliani said. "Obviously those days have now expanded way beyond four or five days." Giuliani said he decided to stay off TV so as "not to upset the apple cart, not to create unnecessary, additional, needless friction" with the Mueller team. I asked the president's lawyer if he thought this brief cease-fire would have a meaningful effect on the Mueller report, given that Giuliani has attacked Mueller and his team relentlessly for the previous year. "Yes, because we've had, over a period of time, after we were very tough, we've had some what we regard as very fair decisions, and some that aren't as fair. So we see that there's the capacity to go either way."